John (“Jay”) M. Heffron is a Professor of Educational History and Culture and the Director of the MA Program in Educational Leadership and Societal Change at Soka University of America (SUA) in Aliso Viejo, California. 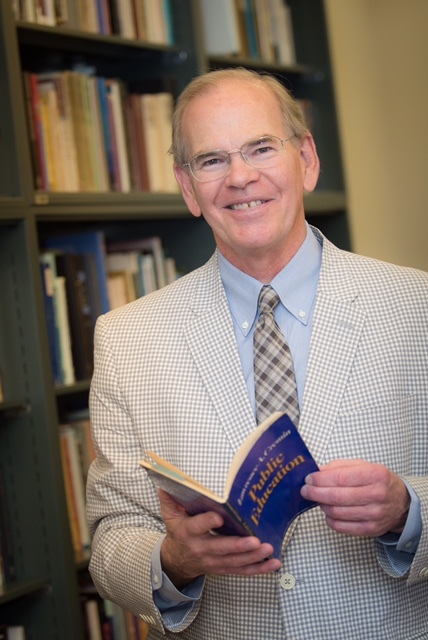 Heffron earned his doctorate in America history at the University of Rochester, where he worked under the supervision of the late cultural and intellectual historian, Christopher Lasch. He has published widely in the fields of educational history, U.S. foreign aid and development history, and leadership studies. He is the author most recently of “The Transnational Context of Schooling” in Rosemary Papa and Fenwick W. English, eds. Educational Leaders Without Borders: Rising to Global Challenges to Educate All (Springer 2105) and is an author of The Evolution of Development Thinking: Governance, Economics, Assistance, and Security (2016), a publication in the Politics, Economics, and Inclusive Development series at Palgrave Macmillan. In 2010 he published with William Ascher Cultural Change and Persistence: New Patterns of Development (Palgrave Macmillan), looking at cultural factors that inhibit and energize inclusive development, and in 2009 with Dennis A. Rondinelli Leadership for Development: What Globalization Demands of Leaders Fighting for Change (Kumarian Press), arguing that leadership is the hallmark of almost every successful effort at international development. His current interest lies in better understanding how culturally-specific forms of democracy determine not only the purposes of education and with it, educational leadership, but also its outcomes in diverse settings.